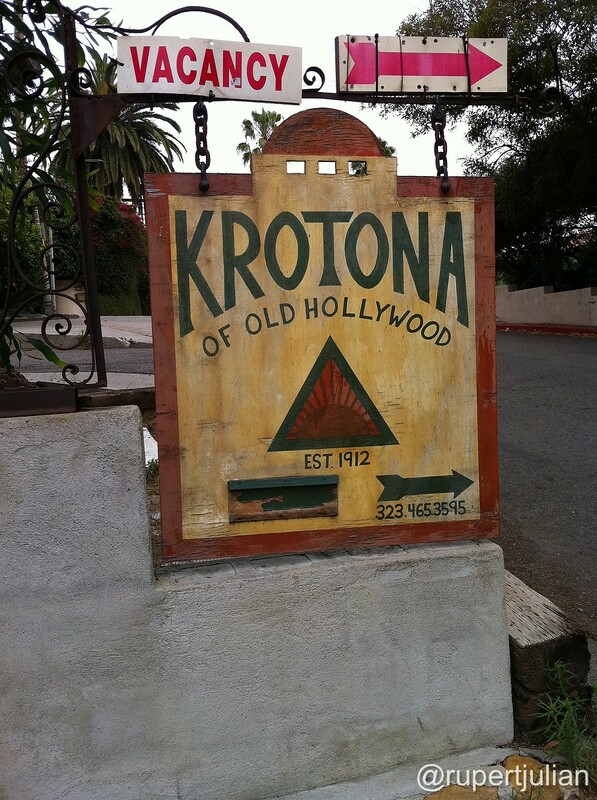 I came across this article a little while ago, and meant to post it here as well as on Rupert's Facebook page: "Curiosity for Rent: Krotona apartments in the Hollywood Hills". I visited there myself a few years ago now, and was lucky enough to bump into the building superintendent, who let me in to look around a little. The courtyard and fountain are still there in the centre of the building, and the larger church hall structure behind is too - complete with the picture window! 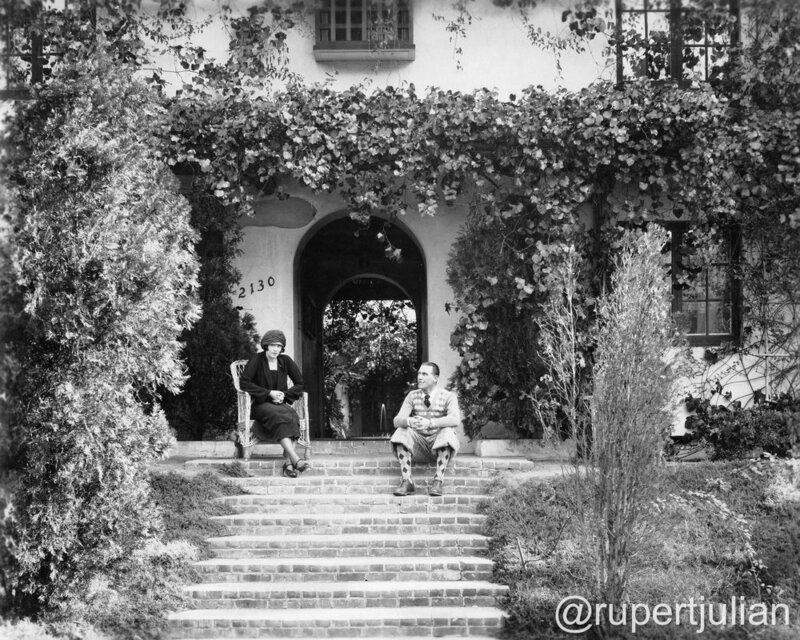 Of course, I was thrilled to see these images below (courtesy of the incredibly generous Marc Wanamaker at Bison Archives in LA), of Rupert and Elsie relaxing at home there, during a visit from his sister Blossom from Auckland. They had bought the property in the early twenties, and remained there until at least Rupert's death - Elsie had moved a short distance up the street at the time of her death, twenty years later. 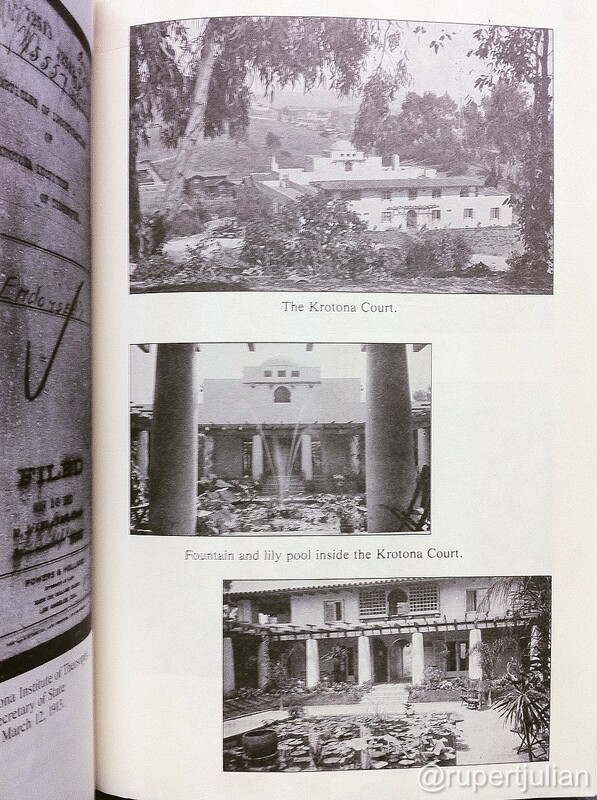 At the time of the census in 1930, they were sharing their home with a German houseman, a Swedish cook, a gardener, a photographer, a writer, an engineer, a salesman, and a few others - so it was certainly spacious even before it became apartments! 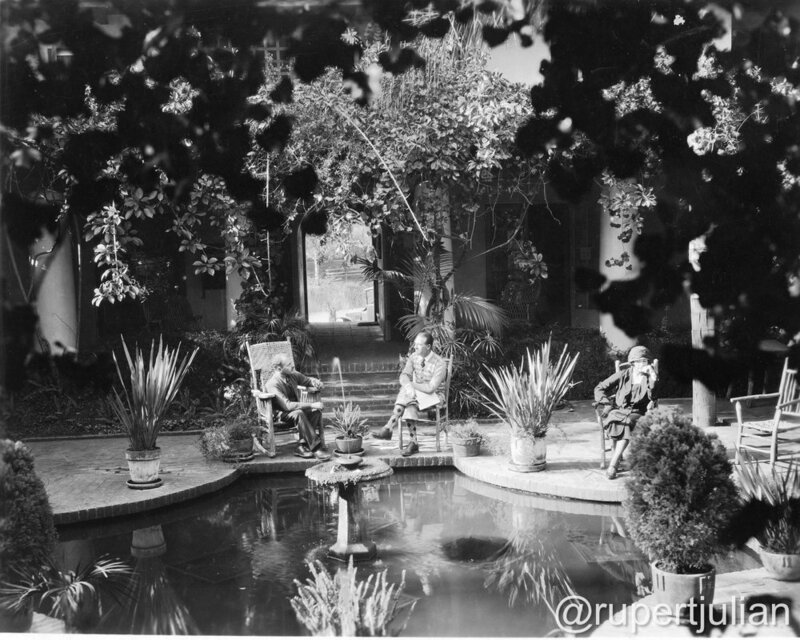 By 1940 (again, according to the census) it appears it was just the two of them and a Japanese servant to help maintain the property. It's a beautiful building, so I'm glad it's stayed in the hands of creatives, all this time!